Men and women unprotected and crowded under the hot sun. The barren stone floor on which they sit is part of the Central Prison of Malawi. Here in Zomba, in the Shire Highlands of the small Southeast African state, an extraordinary and impressive album with musical documents about the unspeakable conditions of the prison under which its occupants have to live, arose. The only public awareness Malawi seems to get is when Madonna decides to adopt another child. But there are more and much more useful reasons to look after this country. For example, the inhumanity of Malawi’s prisons is a shame that hides in plain sight. In the summer of 2013, Grammy-winning producer, Ian Brennan and his wife, Italian photographer and filmmaker, Marilena Delli, travelled to Malawi to document and record the music of prisoners in Zomba. The Zomba Central Prison was built in 1935 and is the only maximum-security prison in the country, holding male and female prisoners. Originally built for 340 inmates, it houses more than 2,000 people - next to the shortage of space it offers a conducive environment for the rapid spread of HIV/AIDS and Tuberculosis. Plus, many of the guards also live on the grounds, just outside the walls. What do you have to do to get jailed in here? The men are often charged with felonies such as theft or manslaughter, but many of them have never been to court. One reason for that: there is no transport from the prison to the court. Meanwhile, many of the women are held for “witchcraft”, with their only crime having been being in the wrong place at the wrong time. 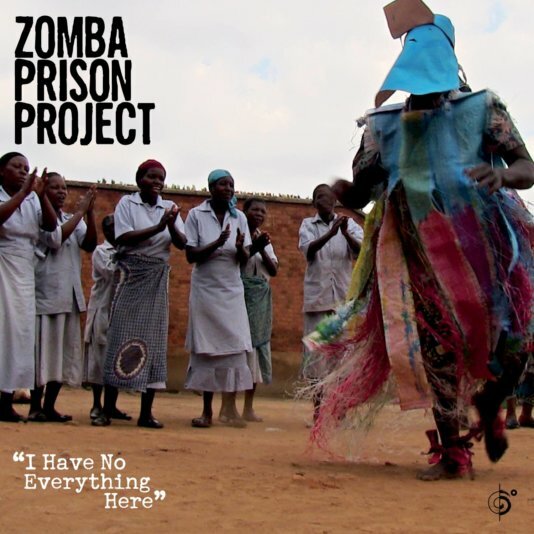 Ian Brennan named the collection of the songs that he has recorded in the prison "Zomba Prison project”. The resulting album is called "I Have No Everything here". These songs are direct, blunt: they tell stories of crime, sinners and sometimes hope. “There is a stark difference between the male and female sides of the prison. The men have an organized band and were very particular about how they were to be recorded. The women on the other hand are without instruments— except for drums made from buckets— and they claimed to not write songs. But, in fact, without much encouragement, the women stepped forward one-by-one with stunningly personal tunes like ‘I Kill No More’,” reports Brennan. The songs were partially recorded directly in the prisoner's cells, with permission by the prison authorities, who showed up open and generous in exchange for anti-violence seminars offered by Brennan and his wife Marilena Delli . Over five dozen people were recorded for the “Zomba Prison project” sessions, totalling more than six hours of music in a multi-generational affair with some members as young as their early twenties, while a few select others have reached more than sixty years of age (the latter being a very advanced number since the life expectancy in Malawi remains about half of what is found in the Western world). Ian Brennan is no stranger when it comes to exceptional music projects. The restless US-American producer draw already international attention by his work with the legendary Tuareg-Formation “Tinariwen” from Mali. But Brennan wants his Malawi project not only reflect the everyday life behind bars and give an insight into a carefully cordoned microcosm. The proceeds from the album sales shall enable some prisoners to appeal against their detention. Through the “Zomba Prison project”, three of the women involved have gained release from their sentences. And three other cases are now actively under review due to the funds that have been raised. “Music is universal. It exists everywhere and is a necessity for survival spiritually. Our hope is to help tip the scales, in the most minuscule way, back to fairer representation”, so Brennan. Get the “I Have No Everything Here” album here. 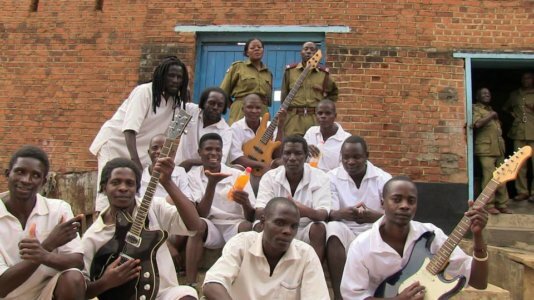 The album supports the human rights of the Zomba prisoners.